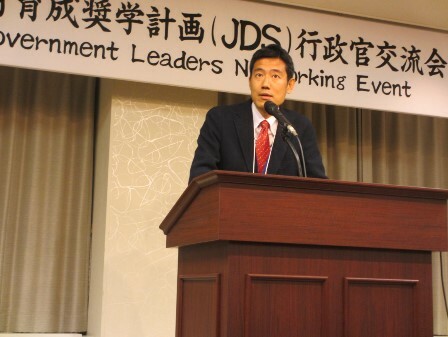 JICE hosted the “Asian Government Leaders Networking Event” on April 28th, 2017. 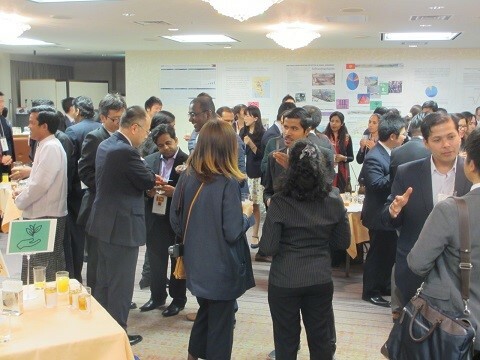 This event, held for the third time, aimed to foster long-lasting relationships between the JDS (Project for Human Resource Development Scholarship by Japanese Grant Aid) Fellows and the Japanese Government administrators by providing opportunities of interaction and mutual learning. 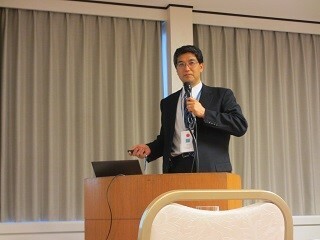 This year we have newly introduced a lecture session given by Japanese ministry officials and video messages from high ranking officials of the sending governments. 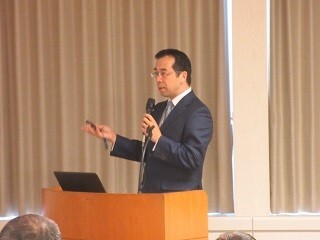 The event had a good turn up with a total of 176 participants (78 JDS Fellows and 98 Japanese government officials). 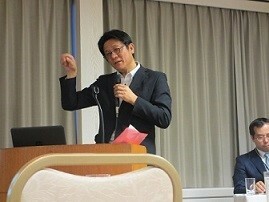 In the first part of this networking event, JICE featured three lectures by Mr. Kazumi Nishikawa, Mr. Yusuke Amano and Mr. Yoichi Niiya in order to deepen the participants’ knowledge in the respective fields of public administration. In the Q & A session, the Fellows asked various questions reflecting their interests in learning from good practices in Japan. In the second part of this networking event, the participants watched video messages from three distinctive JDS alumni: Mr. Nguyen Vu Linh, Deputy Director from Nature Conservation, Ministry of Agriculture and Rural Development of Vietnam, Ms. KURMANOVA Aidai, State Secretary, Ministry of Economy of Kyrgyz and Mr. BAKCHIEV Daniiar, Deputy Head, National Institute of Strategic Researches of Kyrgyz. 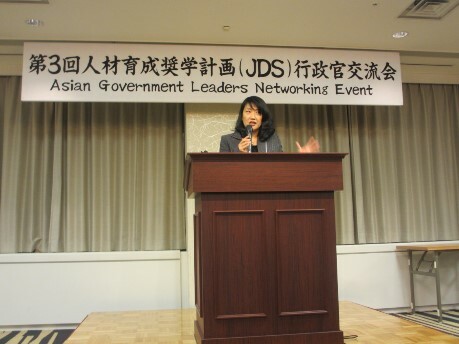 These messages not only inspired the JDS Fellows but also sensitized the participating Japanese government administrators about the active role played by the JDS alumni in the respective countries. 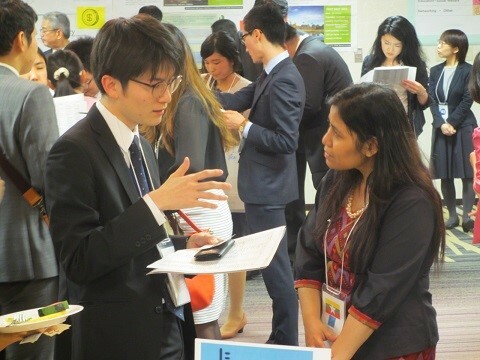 During the event, the Fellows presented their research posters which facilitated discussion among both JDS and Japanese participants. With a vision to bring Japan and the world closer together JICE is fully committed to help international students to have a rewarding and fulfilling experience while in Japan. 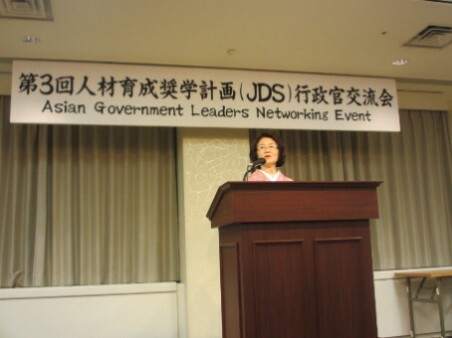 In addition to hosting such networking events, JICE will further encourage Japanese government administrators to connect with JDS Fellows and alumni who are expected to play a leadership role in their countries and to share knowledge and experiences in a bid to solve common challenges facing Asia.